This is a layout that i made before my pc broke before Christmas. 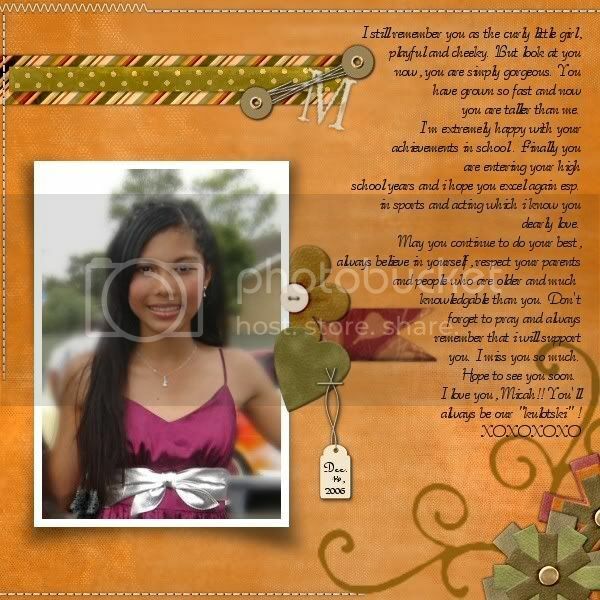 This is my niece Micah Jey who is now 12 years old. 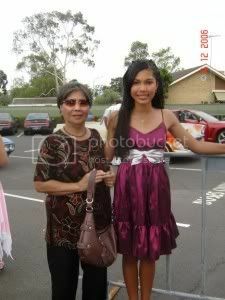 Pic taken i think outside the Catholic Club where they will have their Farewell Party. Mom is in Australia right now and she accompanied her at the party. She will be in Highschool (Catholic School) this coming January at the start of the school year. Isn't she just gorgeous in this picture? Such a lil lady that is.. Miss you Micah! 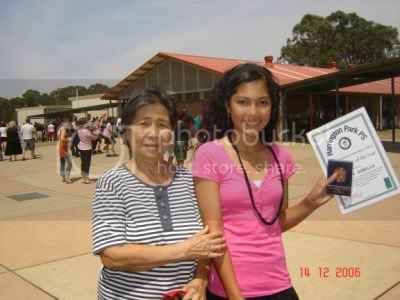 With her grandma at the school after accepting her Best in Sports Award.